Thyroid gland is a butterfly shaped organ located at the lower front part of the neck. It is responsible for secretion of two hormones namely Triiodothyronine (T3) and Thyroxine (T4). Thyroid function tests evaluate the level of these hormones in your system. 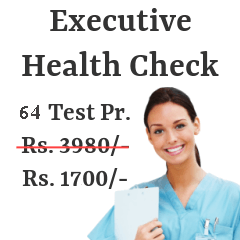 Read the list below that shows you about different centers of Chennai offering thyroid profile. Following are the Thyroid Profile centers from most reputed pathology / radiology labs in Chennai. No 57, Near Alsa Mall, Monteith Rd. A thyroid function test can be carried out at any hour of the day. There is no constraints with time or fasting before the test. Normal consumption of food can be done before the test. While undergoing a thyroid function test, some amount of your blood is withdrawn through your veins. Sometimes your doctor may also tie an elastic band on the upper side of your arm to tighten up your arm which helps the nurse focus to find your vein's location easily. This sample of your blood is sent to the lab for further examinations. After you receive the results you can consult the right doctor for you. If you have any ailments related to thyroid you should prevent starving, consuming liquid food, skipping meals, etc. Do not get yourself exposed to radiations. Also, avoid intake of water or any liquid dietary substance stored in plastic bottles. Heavy workout can also hamper the condition of your thyroid gland. In order to keep your health conditions well and good, and prevent or diagnose thyroid disorders, you should undertake regular checkups. 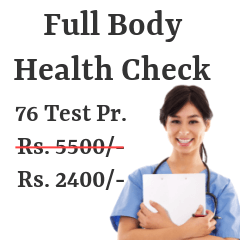 To help you decide the best center in Chennai for your thyroid function test, we have shortlisted various diagnostic clinics and hospitals for you. 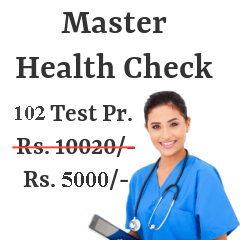 All the required details like price of the test, contact number, address, etc. have also been included. You can calculate your budget and choose the suitable center based on it. If you have any query you can let us know through your valuable feedback.